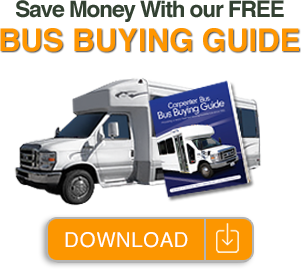 Carpenter Bus Sales is proud to represent Glaval Bus products. While Glaval offers great buses in a large size range, we especially love their larger line of buses including the Glaval Entourage, Glaval Legacy, and the Glaval Concorde II. Glaval uses “Steel Safe” construction which wraps passengers in strength and comfort. The subfloor of welded square tube steel is covered with 5/8″ pressure-treated MarineTech plywood. A welded steel cage frame is filled with solid block dense foam insulation and laminated to a glavanneal steel exterior skin and an interior wall of vinyl-covered lauan for the side and rear walls that give you the durability and strength you need.